A mom of two young kids is looking for help with her anxiety but needs help on how to find a therapist. She’s overwhelmed on where to start. We have advice. View Your Zero to Forty! A mom of two young kids is looking for help with her anxiety but needs help on how to find a therapist. She's overwhelmed on where to start. We have advice. We're transforming colorful plastic Easter eggs into little Easter animals with the help of our free printables. You can, too. We show you how. If you're looking for a family vehicle that can handle rough terrain or one that can tow a camper or haul bikes, we've got recommendations. A mom needs help potty training her four and a half-year-old son. He's halfway-there but regresses. We have some strategies to consider. Recently, low-fare Icelandic airline Wow Air went bust. Definitely a bad situation. But, I had a genius idea. Why not just turn the plane upside down and create MOM Air? Does your child collect flowers and leaves on your neighborhood walks? Channel that budding botanist's interest into discovery with this kids' craft. Wouldn't it be cool if there was a holiday called Gardening Day and people who loved plants would give each other seed packets like they were Valentines? Pretty petal toppers form a flower to decorate cupcakes or tea sandwiches for any Easter, Mother's Day or Spring party! These paper flowers with your kids' smiling faces and sweet thank you notes make for great Teacher Appreciation and Year-End teacher gifts. 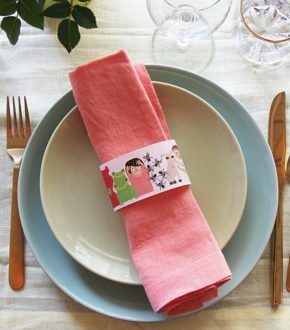 Spring has sprung and we're excited to celebrate with a tea party. We've made these cute bird cookies that the kids can perch on their decaf tea cups. Enjoy! 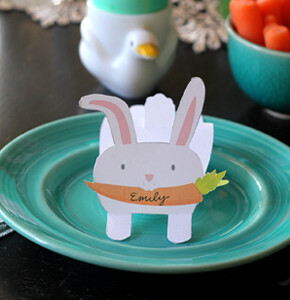 Download and cut out our printable to make your own Easter bunny name cards for your celebration's table place settings. We thought it would be fun to make some buggy crafts that might come in handy for bug-themed birthday parties or just an afternoon of it's-almost-summer fun. London has no shortage of things to do, but because I was there with teenagers we're highlighting activities, landmarks and restaurants that older kids may enjoy. Suggestions for what to do in Chicago with tweens/teens. It's walkable, there are plenty of activities, and the pizza/hotdog/steak restaurant game is strong. My best travel hack: when you’re on a family trip, manage your expectations. Don’t set yourself or your children up for disappointment because you’ve placed too much importance on an experience they don’t care that much about. We visited the Woodloch Pines Resort in the Poconos area of Pennsylvania and share how it's a fun all-weather resort for families with kids of all ages. Best secrets from the road. What you must know before you do a family road trip with your kids from a mom who' been there and done that. Snow Mountain Ranch is located near the town of Winter Park, Colorado. I'm going to go ahead and tell you why it's is the perfect family vacation spot. Getting ready to hit the road? 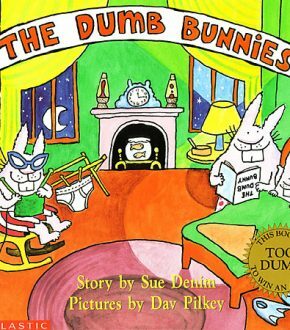 These are some goods to keep the kids entertained whether you're traveling by train, plane or automobile. Keep kids busy on the road with these old school car games and low-tech toys. No chargers or screens required! A fun and personalized Earth Day craft for kids... DIY globe ornaments. Earth Day is April 22 and we've created some cute cupcake toppers for your "Earth" cupcakes. Happy Earth Day! Tu B'shvat is a Jewish Holiday and special day for celebrating trees, like a Jewish Arbor Day. Create some pretty tree sun-catchers with kids to celebrate. To celebrate Earth Day how about a making a craft with the kiddos out of recycled paper? Check out this simple craft! Earth Day is April 22, so celebrate by growing some paper. Made from recycled materials, this homemade paper has added seeds so that it can be planted. Turn old t-shirts into art with this weaving project for Earth Day. Don't forget Earth Day is April 22. 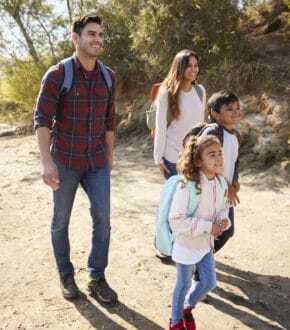 Five ways to mark Earth Day with your kids by celebrating recycling, reducing and caring for the earth in tangible ways they can understand and relate to. Know a teacher who loves tea? Us, too! Here's an punny appreciation card to accompany a tea gift. It's true. Teachers love their coffee. And, gift cards to local coffee shops are always useful and go over very well. BTDT. We've created these great little free cards to wrap up those cards! Through years of challenges, one cookie has steadied me every single holiday season. Is it magic? Maybe. I'm not going to rule it out. Teacher Appreciation Week is the first full week in May. I love thinking of 'puntastic' gifts. You know, those clever play on words paired with a little gift. I especially like it when the gift is useful. I think this oven mitt filled with fun gadgets is just that. Easy back-to-school teacher's gift idea. Cute and useful! Print our free gift tag to go along with your teacher's gift. I have begun shopping for teachers' gifts. What sort of gifts do you give the people to whom you entrusted your children for the entire year? I find it difficult to find gifts that truly show how much I really appreciate all that they have done for my child. Homework doesn't have to be a battleground in your home; keep in mind a few simple rules for a practical approach and peace can indeed coincide with homework! Apparently I'm not the only parent alone in my sentiment of being mystified by grade school math. Here's how to help your grade schooler without having to go back-to-school yourself. There has been plenty of research that points out how homework isn't really helping anyone. Let's discuss. How do you make better use of family time during the school year to keep things feeling light instead of hurried? New habits and purposeful plans are key. Have you been dancing around the house yet singing, "It's the most won-der-ful time of the year" No? Well, with these tips, you will be singing in no time. What if the tables were turned and you were going to get graded on your child's report card on your parenting? How do you think you would do? If you're looking to find the balance between helping too much and teaching them to be successful on their own, this list of homework rules is for you.